Achalare walnut is located in Baner, Pune, Maharashtra. Achalare Walnut offers residential units of 2BHK apartments area ranging from 846 sq ft. to 872 sq ft. Achalare Walnut is a magnificent project of Achalare Realtors. Achalare Realtors is a successful and one of the reputed companies in real estate, they understand the perfect home requirements of its buyers. This project offers world class residential units with no. 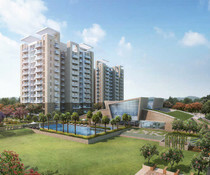 of specifications, besides it is located at an outstanding locality of Mumbai Pune Bypass. This place offers a comprehensive luxurious lifestyle with no. of qualified amenities which includes earthquake resistant structure, lift facility, power backup, rain harvesting, security guards, CCTV, landscaped garden, firefighting systems. Flush Shutters Internal, Decorative laminate main, Rich vitrified tiles balcony, kitchen, dining and living room, master and other bedroom, toilets, acrylic paint exteriors oil bound distemper interior, granite platform with stainless steel sink kitchen, concealed plumbing, toilets reveals the finest specifications and applications of perfect art and designs precisely executed in order to give truly rich experience of wonderful lifestyle to its customers.